This cellulite and body contouring treatment uses the revolutionary ELOS combined energy technology of bi-polar radio frequency and infrared light, plus tissue mobilization combined with suction proven to reduce the appearance of cellulite and re-contour problem areas. The radio frequency also aids in tightening lax skin. VelaShape can be used on the stomach, back, legs, arms, and neck. A series of treatments is required for optimal results. At Northern Virginia’s Vitalia MedSpa, VelaShape is used to effectively and safely contour, shape, and slim the body by reducing cellulite and firming problem areas. VelaShape is the only FDA-approved device for these treatments. VelaShape features the revolutionary elōs combination of Bi-Polar Radio frequency, Infrared Light Energy, plus Vacuum and Mechanical Massage. Vacuum and specifically-designed rollers for the Mechanical Massage smooth out the skin to facilitate safe and effective energy delivery with no downtime. 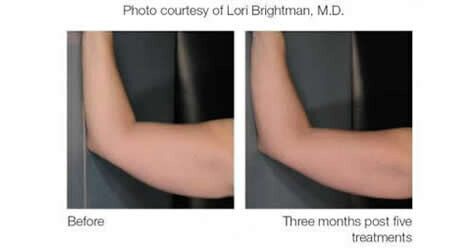 The net result increases the metabolism of stored energy (fat), increases lymphatic drainage, and reduces or shrinks the size of the actual fat cells. What Parts of the Body Does VelaShape Treat? At our Falls Church facility, the VelaShape is used on the thighs, buttocks, love handles, abdomen, bra line, and upper arms. We recommend a series of at least 5 treatments, which are done once a week. Is the VelaShape Right for Me? 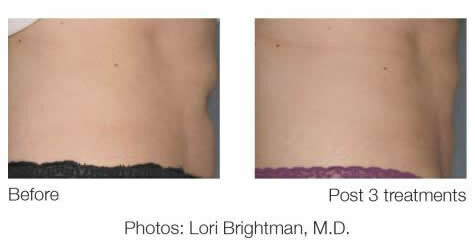 Velashape is the answer for cellulite and a great before and after treatment for additional body contouring procedures. As with all treatments, we recommend a complimentary consultation to determine if you are a good candidate for VelaShape. Individual results will vary. If you would like to learn more about the VelaShape treatment, please contact the professionals at Vitalia MedSpa. class="page-template page-template-page-theme page-template-page-theme-php page page-id-8199 samba_theme samba_left_nav samba_left_align samba_responsive tribe-no-js wpb-js-composer js-comp-ver-5.4.5 vc_responsive"